A hot potato: Google CEO Sundar Pichai appeared before Congress today to shed light on some of the company's business practices. After answering dozens of questions ranging from privacy to employee misconduct, the tech exec downplayed the importance of Project Dragonfly and dodged a request not to release such a tool to the Chinese government. Ever since it came out that Google was working on a censored search engine for the Chinese government called Project Dragonfly, the company has been embroiled in both public controversy and internal conflict. 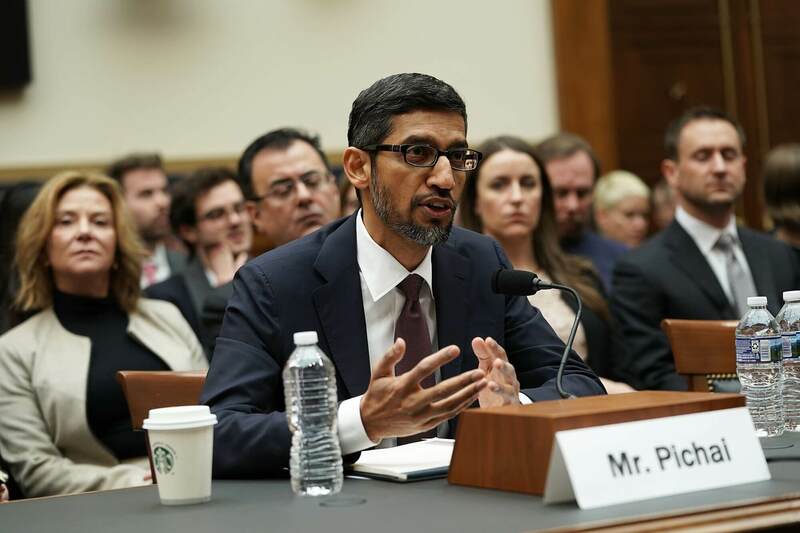 Google CEO Sundar Pichai testified before Congress on Tuesday where lawmakers grilled him over the company’s social media practices. When the topic of the Dragonfly project was brought up Pichai was somewhat evasive and downplayed the significance of the search engine. When asked about the project by Representative David Cicilline from Rhode Island, the Google boss said the company had “no plan” to release the search engine in China and that it was an “internal” project with limited scope. When asked if he would “rule out” developing and releasing an app or service allowing the Chinese government to surveil or censor its people, Pichai gave a long-winded stammering response that did not rule out anything. The short answer would have been, "no." Last month, employees posted a demand to cancel the project in an open letter signed by about 250 staffers. Since then it has nearly tripled its signatures to 736 developers and engineers. Google’s response has been that if workers have moral objections to working on the project, it will be glad to place them on a different team. So despite employee protests and Congress asking for a commitment not to help communist China oppress its people, Dragonfly appears to be still in the works with no signs of closing down under pressure.